2019 Passover Seder – Temple De Hirsch Sinai. Temple’s 2019 Passover Seder is Saturday evening, April 20, 2019! 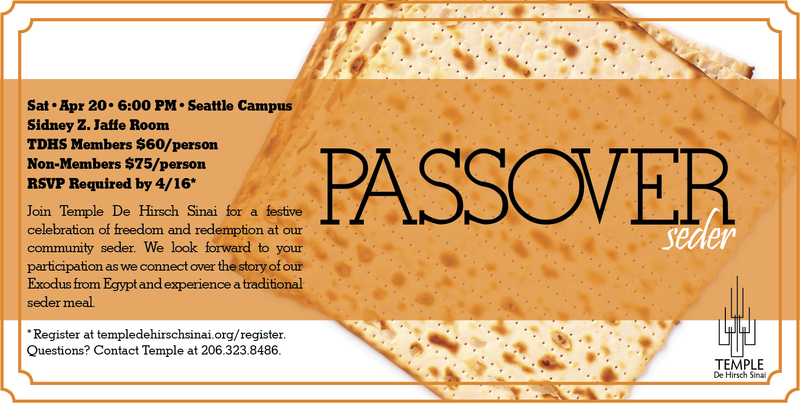 Join Temple De Hirsch Sinai for a festive celebration of freedom and redemption at our community seder. We look forward to your participation as we connect over the story of our Exodus from Egypt and experience a traditional seder meal.